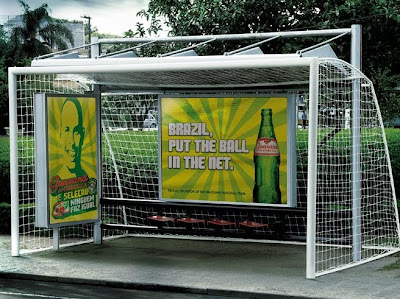 Guarana Antarctica Bus Stop: Actual size football goal posts were placed in bus stops around Sao Paulo, Brazil to promote the World Cup. 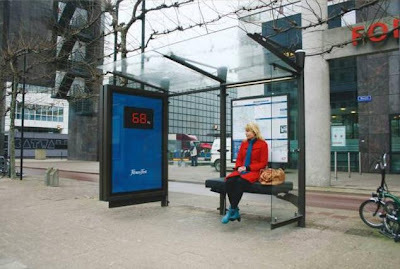 Weighing Scale Bus Stop: The bench works as weighing scale and the weight is displayed on the board for all to see. 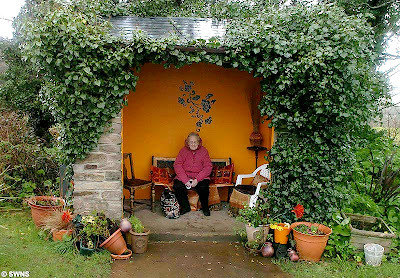 Swing On A Bus Stop In London: Swing on a bus stop in London, part of Bruno "Playful Spaces" art project. 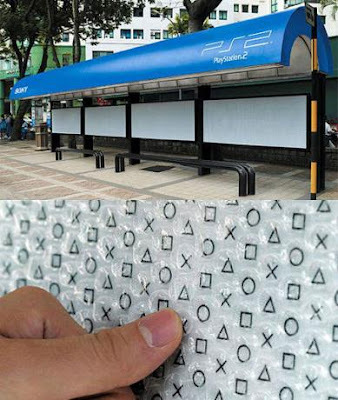 Playstation 2 Bus Stop: It features boards with bubble wrap. 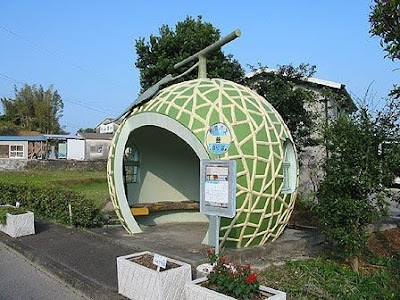 Air Conditioned Bus Stop: This one is probably the most comfortable and advanced bus stops of our post, fully enclosed with air conditioning. 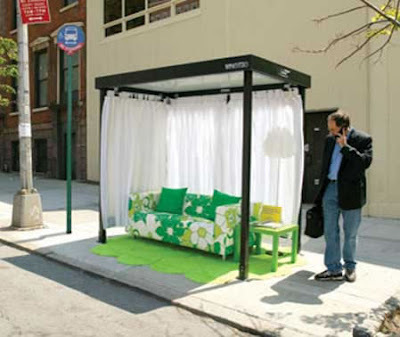 Living Room In Bus Stop: This living room bus stop was created by Ikea and Deutsch team together for the marketing of Design Week 2006. 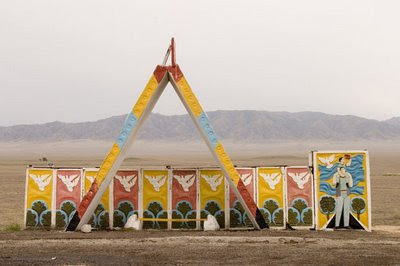 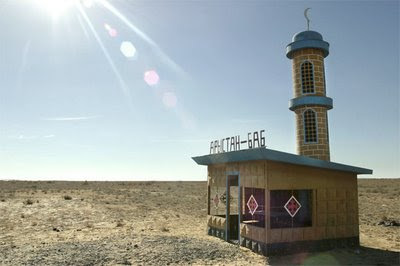 Moroccan Style Bus Stop: Bus stop decorated by I Hynd in Cornwall, England. 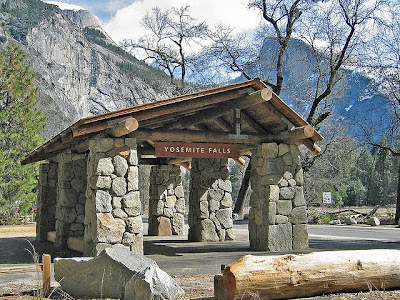 Yosemite Falls Trail Bus Stop: Simple and well suited for the setting. 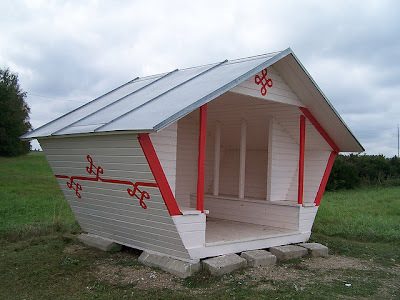 Estonian Bus Stop: Cool bus stop design from Estonia. 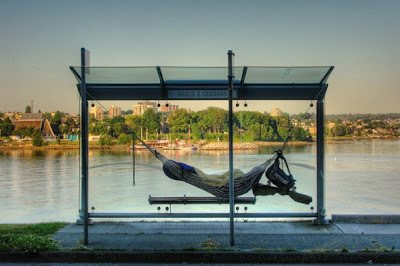 Hammock Bus Stop: One can relax while waiting for the bus to arrive. 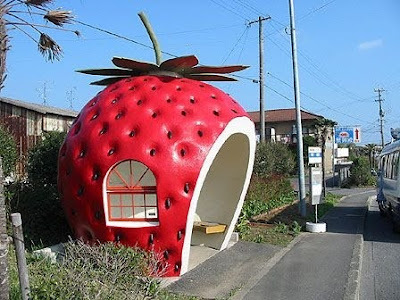 Sheffield Bus Stop: Cool bus stop with grass roof in Sheffield, England. 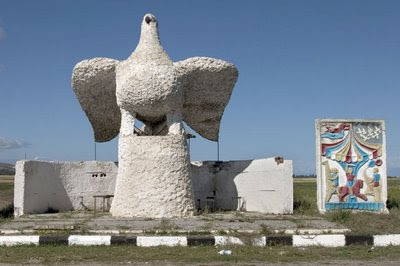 Bus Station Casar De Cáceres: "A single material, a single form that covers everything, roof, interior space, exterior image, structure." 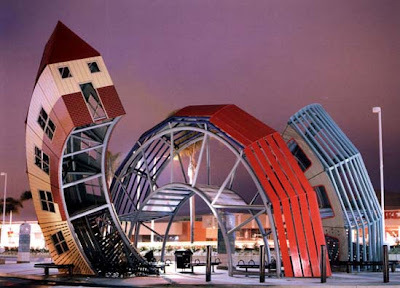 Ventura Bus Stop: A bus transfer station at the Pacific View mall in Ventura, California. 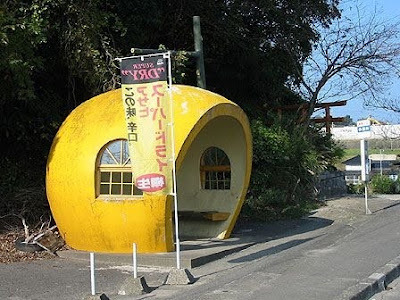 It is a series of three parts developed into a spiral shaped transformation from a bus to a house. 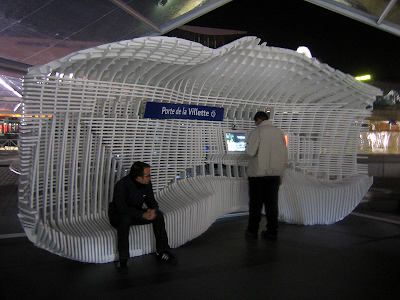 Smart Mobilities Project - Bus Stop: This bus stop was designed as part of the smart mobilities project, and presented in Paris in 2008. 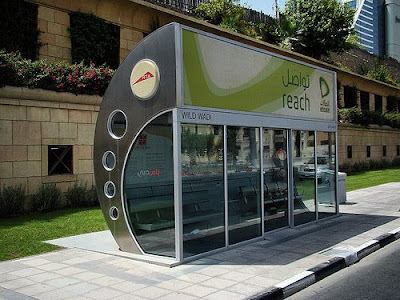 Users waiting inside the bus stop engage via a touch screen interface while pedestrians waiting outside interact with a 6ft. 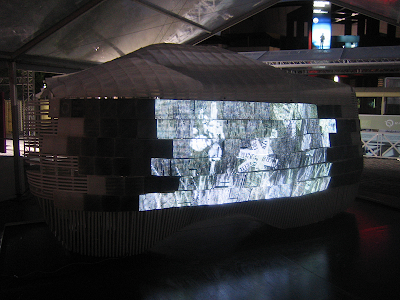 custom display. 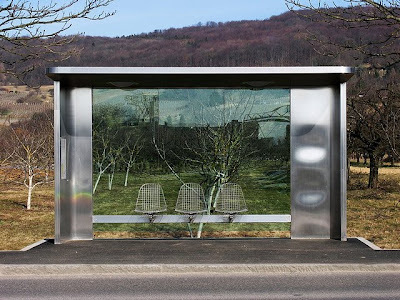 Vitra Bus Stop: Bus stop designed for the Vitra design museum in Germany. 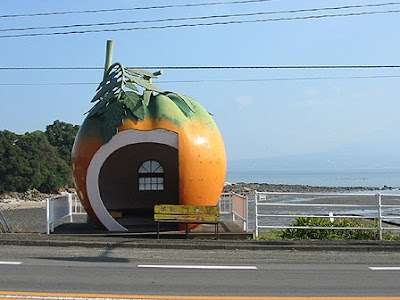 Japanese Bus Stops: Yummy bus stops from Japan. 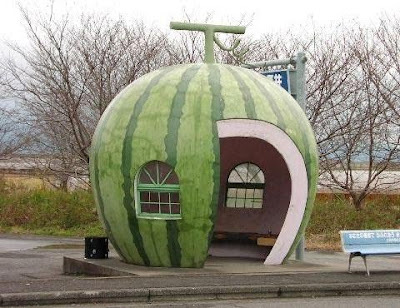 Watermelon Bus Stop: Cool watermelon bus stop in Japan.